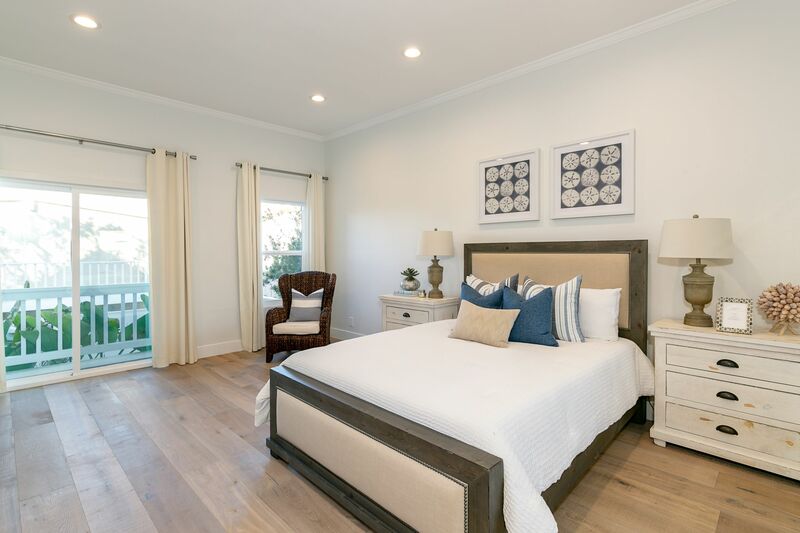 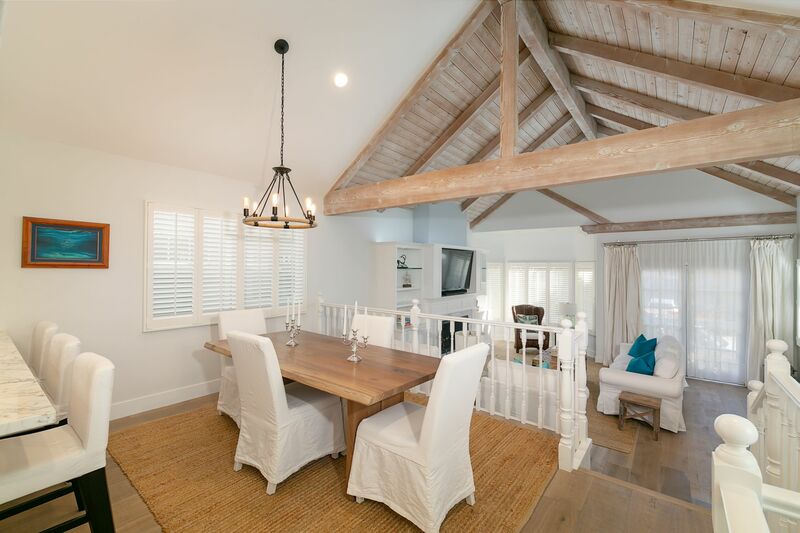 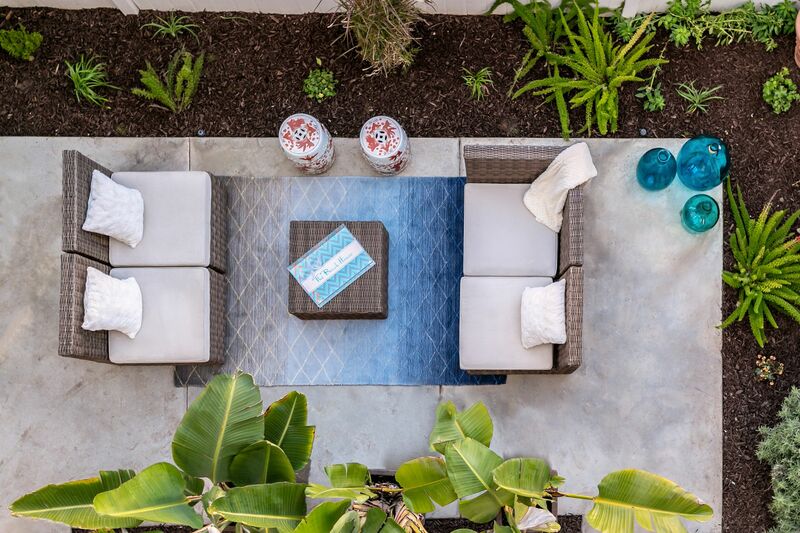 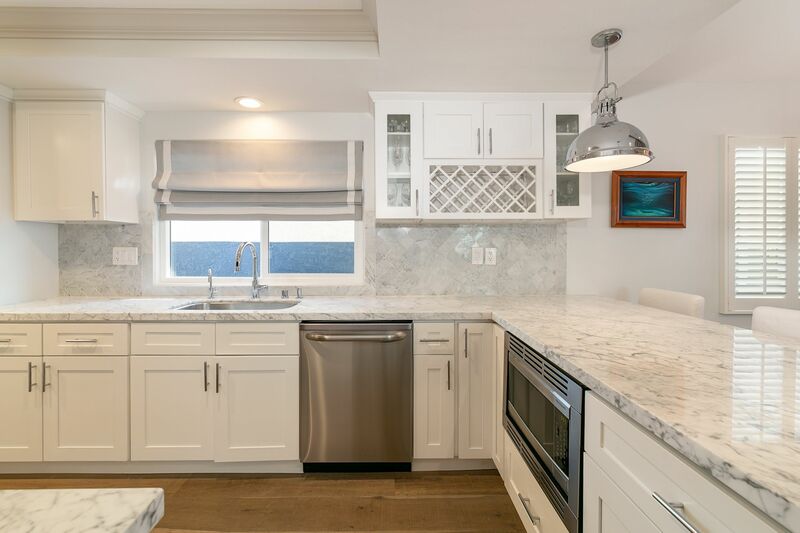 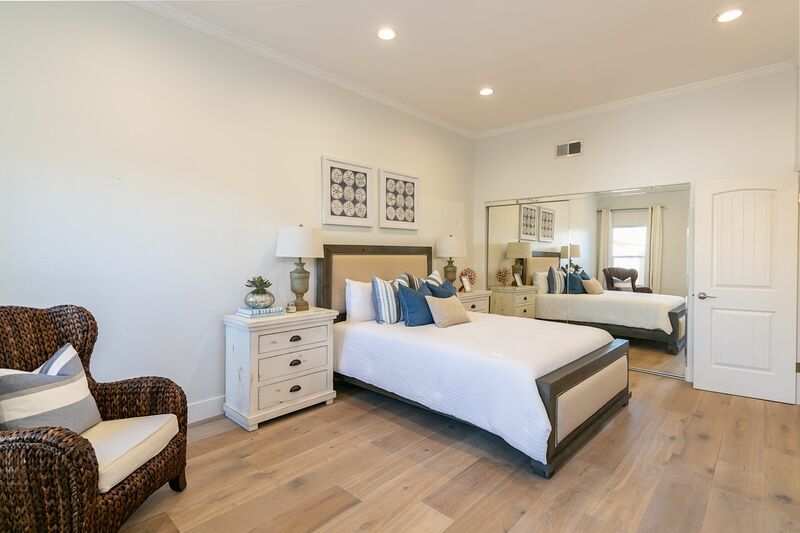 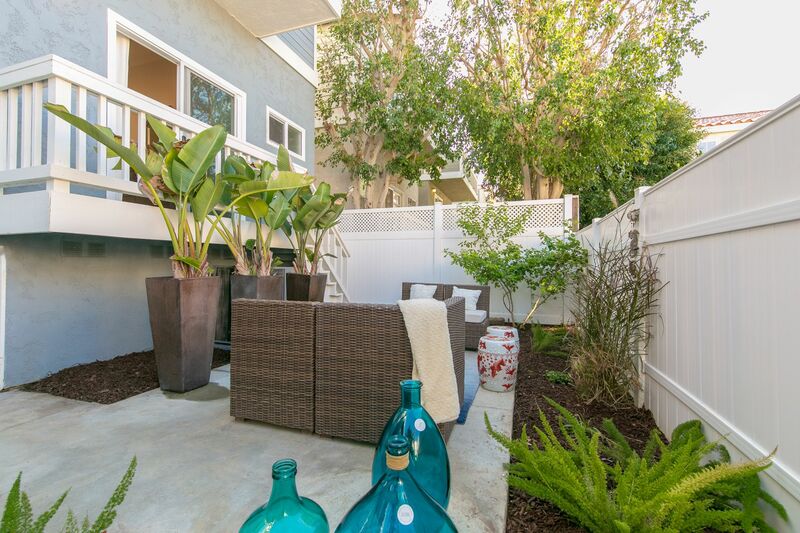 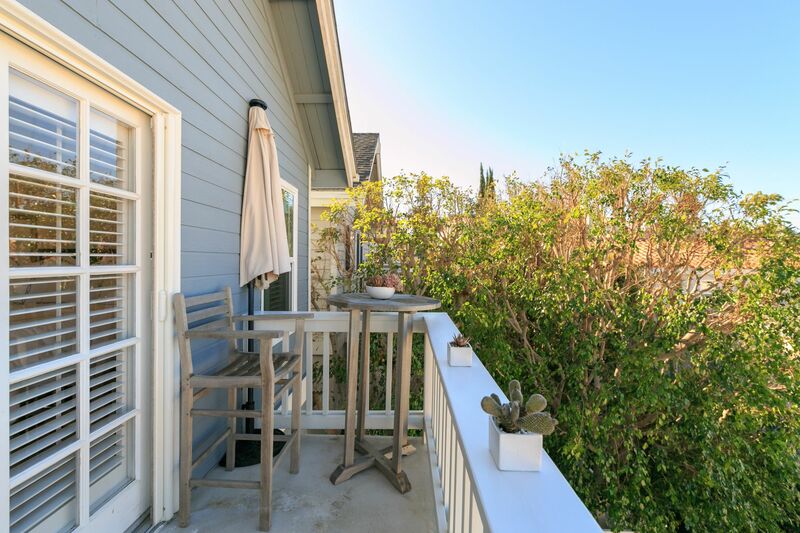 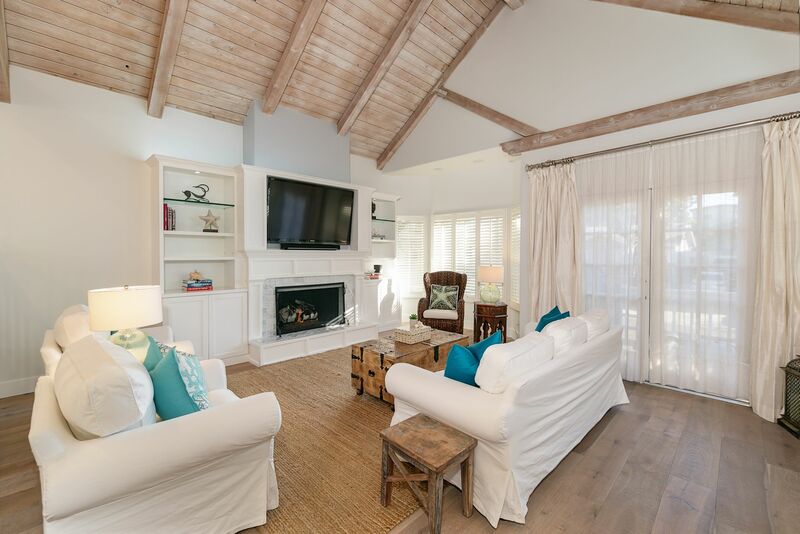 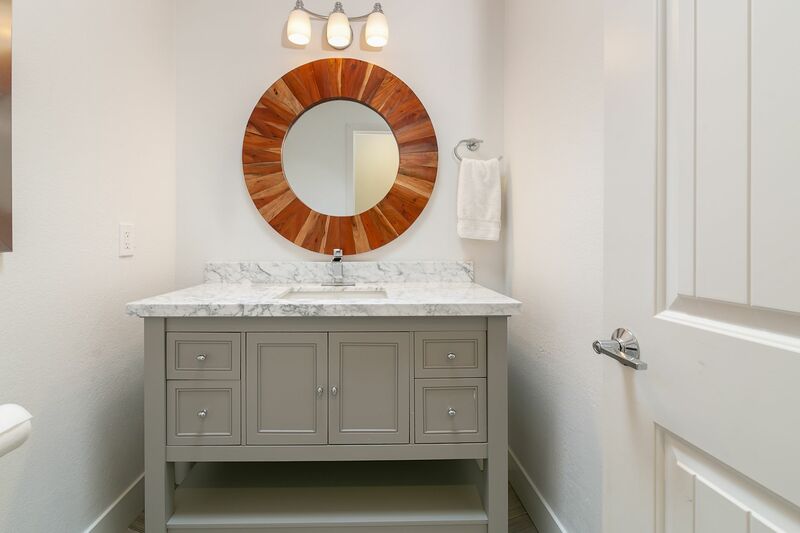 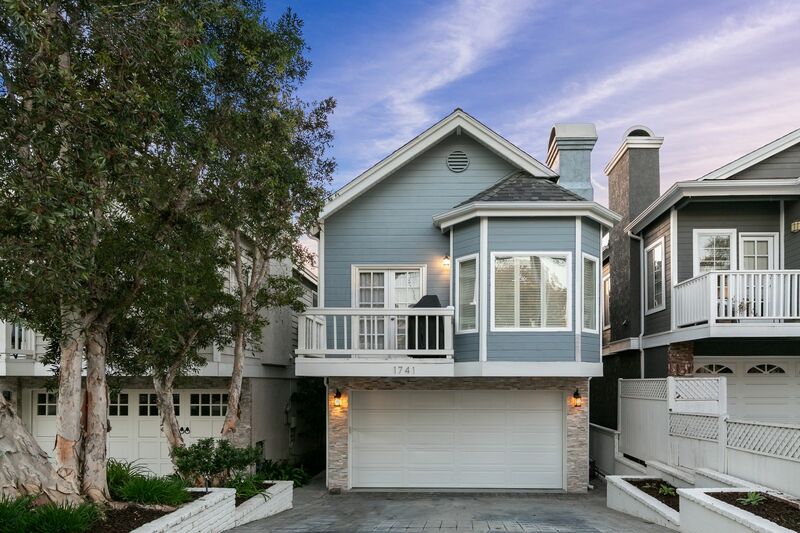 Welcome to this gorgeous recently remodeled Coastal Chic home in the Golden Hills with 3 bedrooms and 2.5 bathrooms! 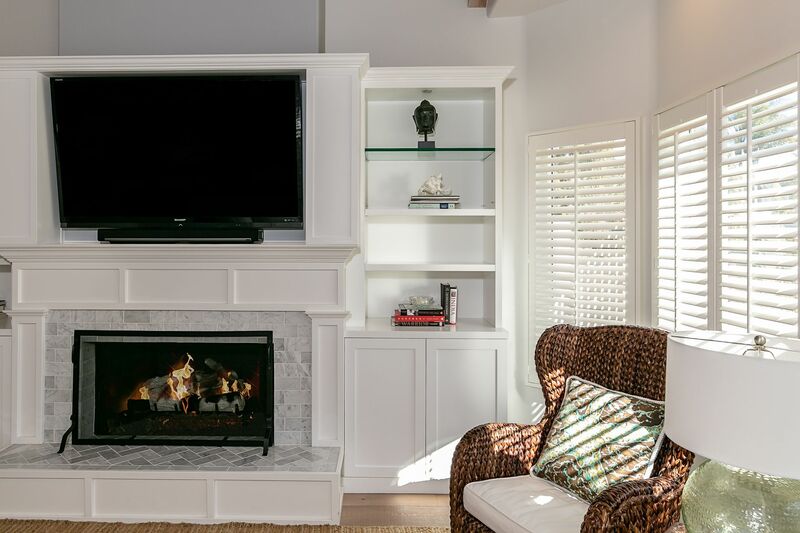 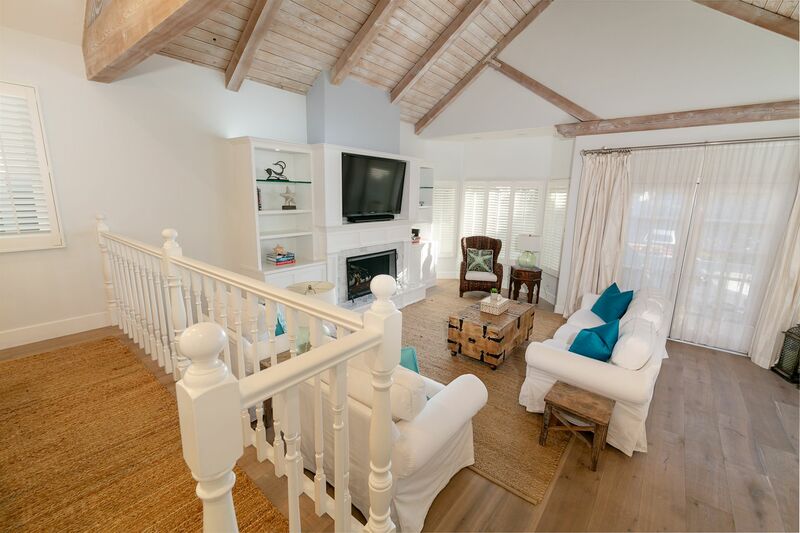 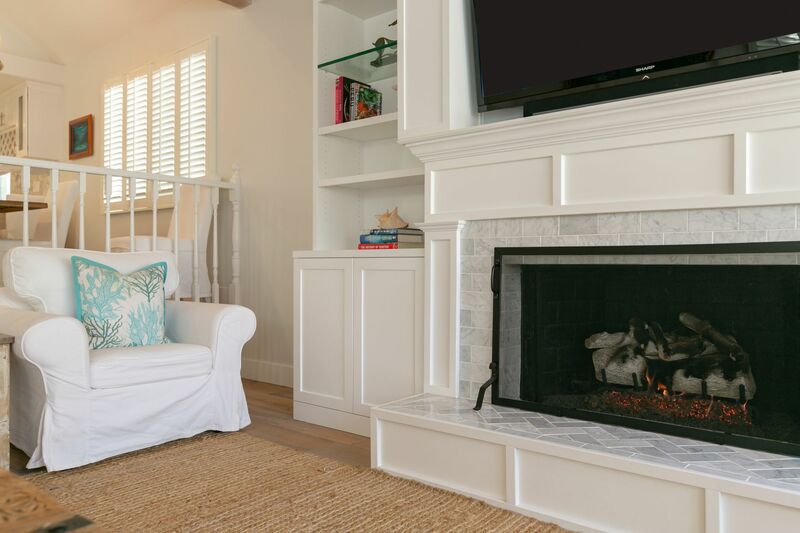 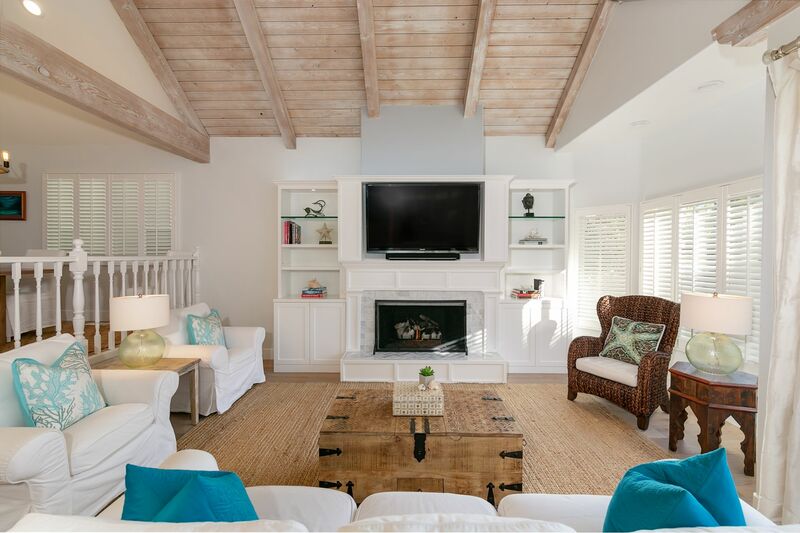 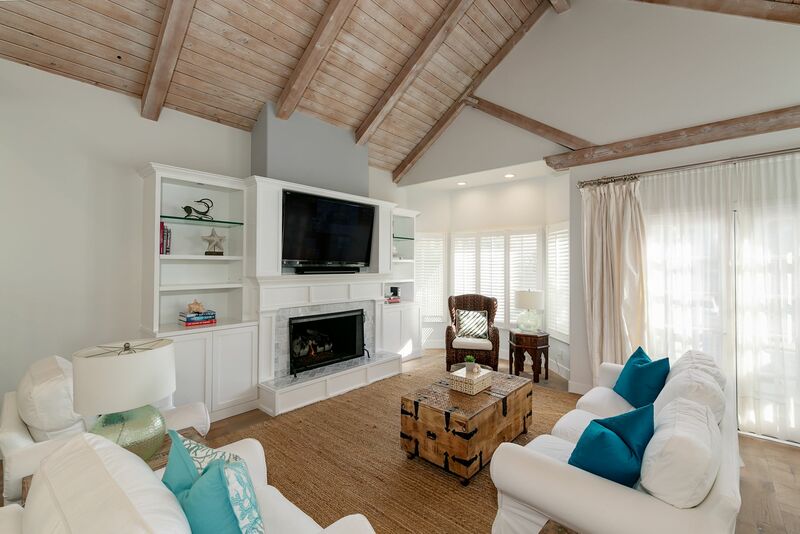 The light & bright living area is upstairs with an open floor plan featuring beamed ceilings, a fireplace, built in media cabinets & shelves, big bay windows with plantation shutters, and a balcony. 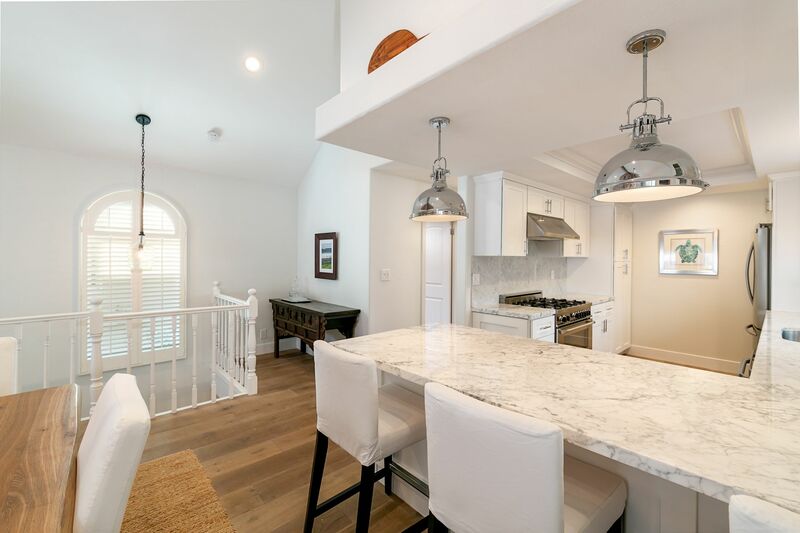 The living area includes the dining room that opens up to the kitchen and breakfast bar and a powder room with a skylight. 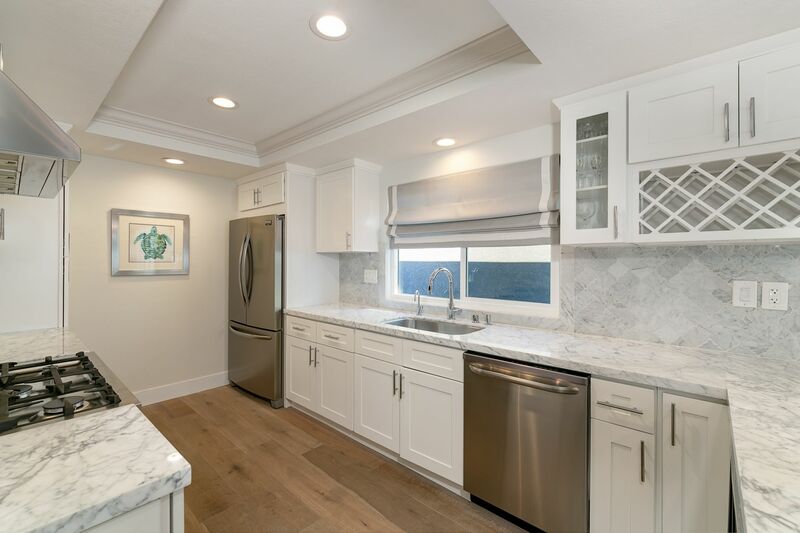 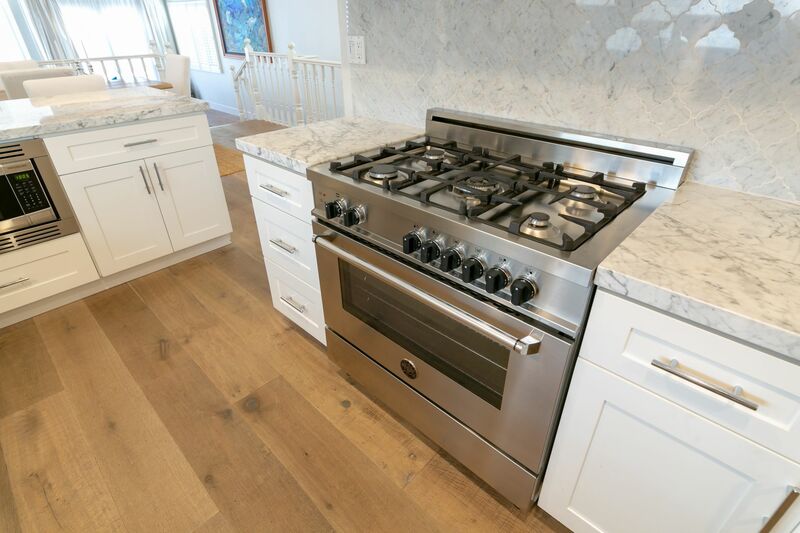 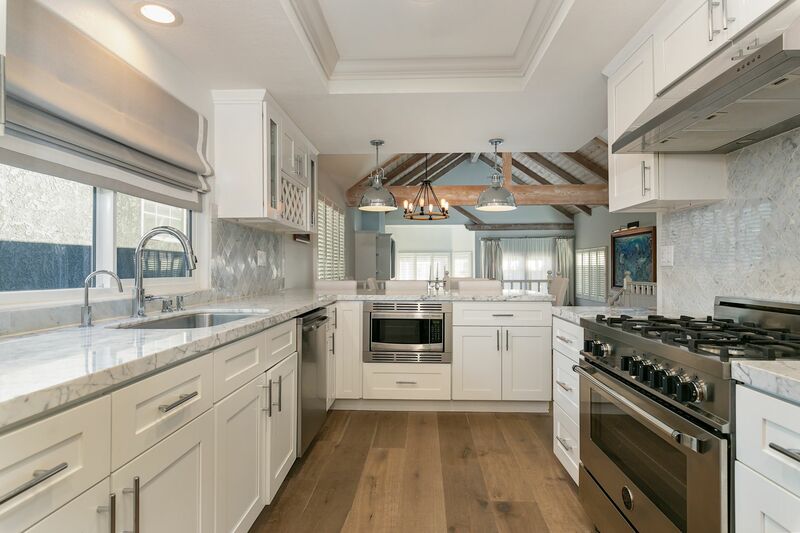 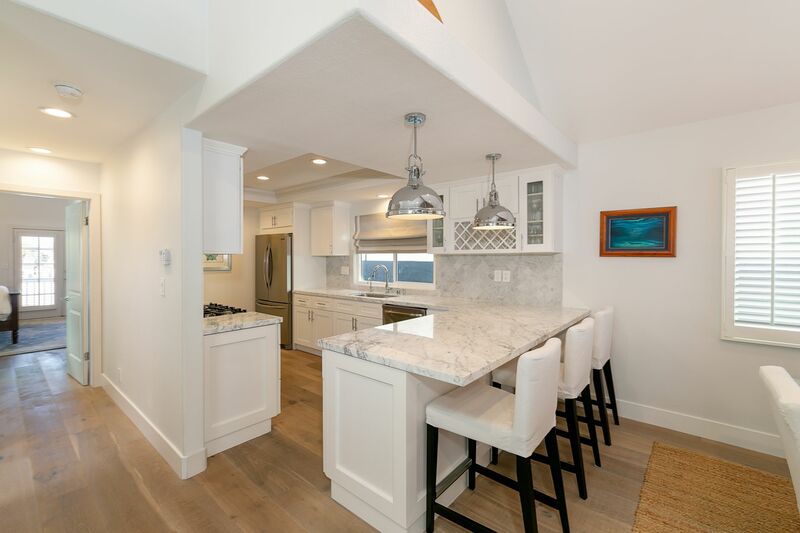 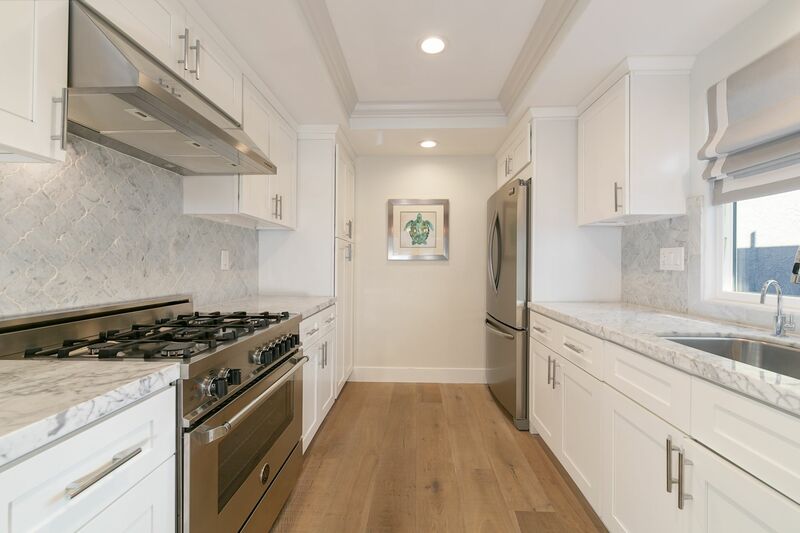 The kitchen showcases custom shaker cabinets, Italian Venatino Marble countertops, Carrara Arabesque back splash, and built in stainless steel appliances and a 5-burner Bertazzoni range. 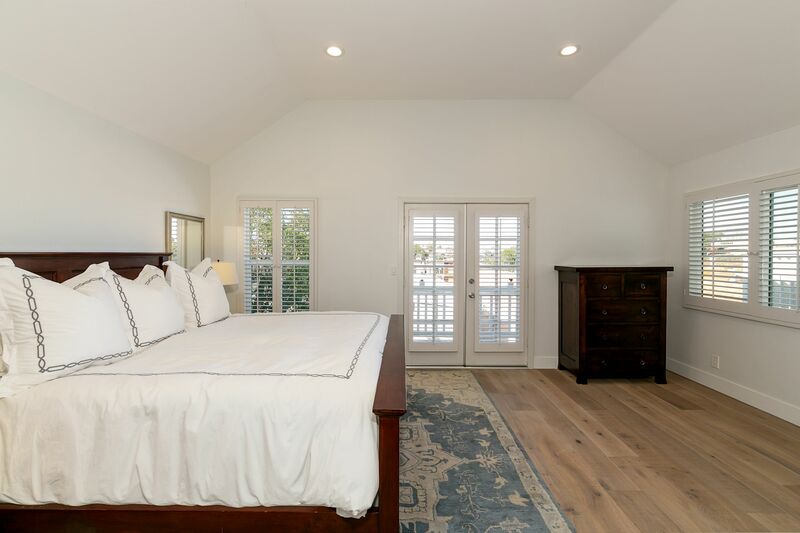 The home has beautiful French white oak hardwood floors throughout, air conditioning, newer heater, & a new roof installed in 2016. 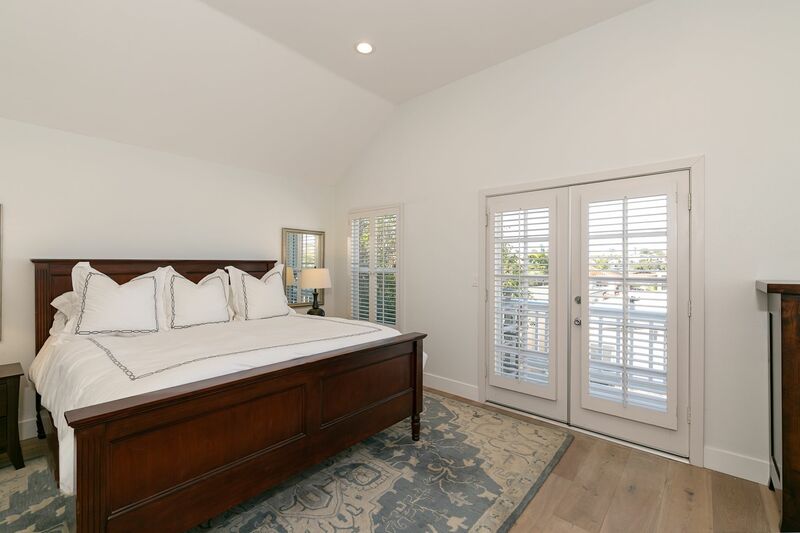 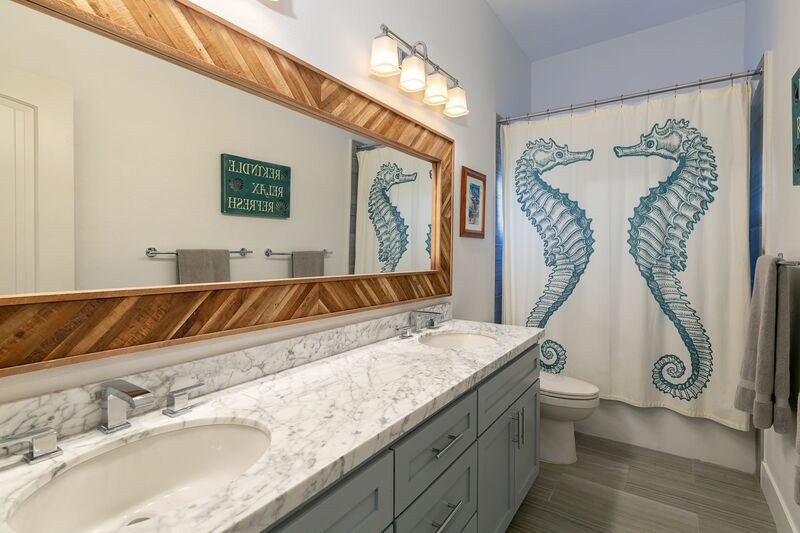 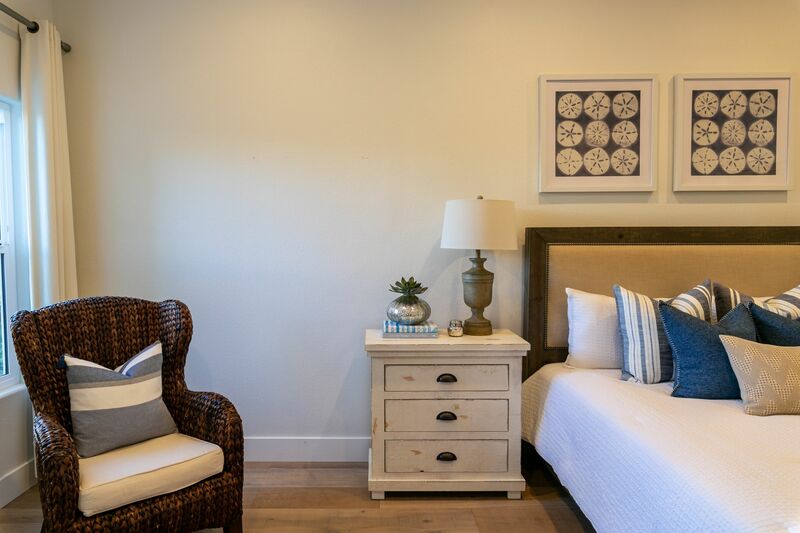 The master bedroom is on the living level with a west-facing balcony bringing in cool ocean breezes and an en-suite master bathroom with Italian Marble countertops. 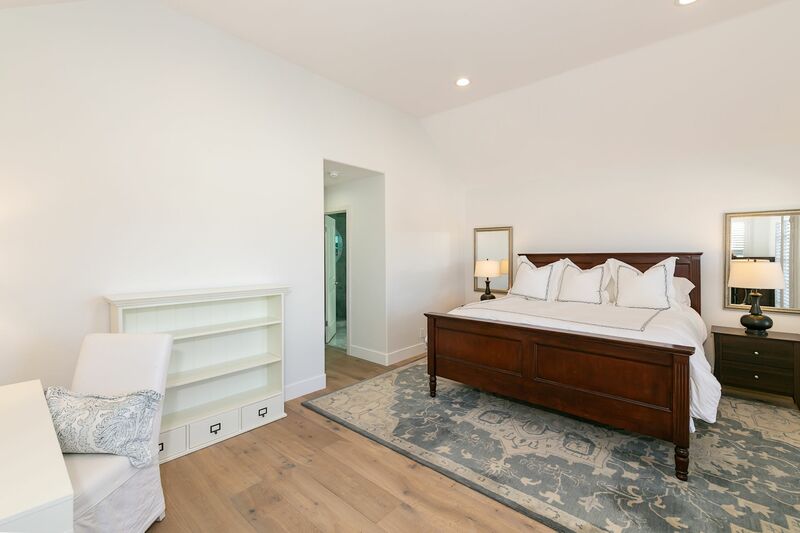 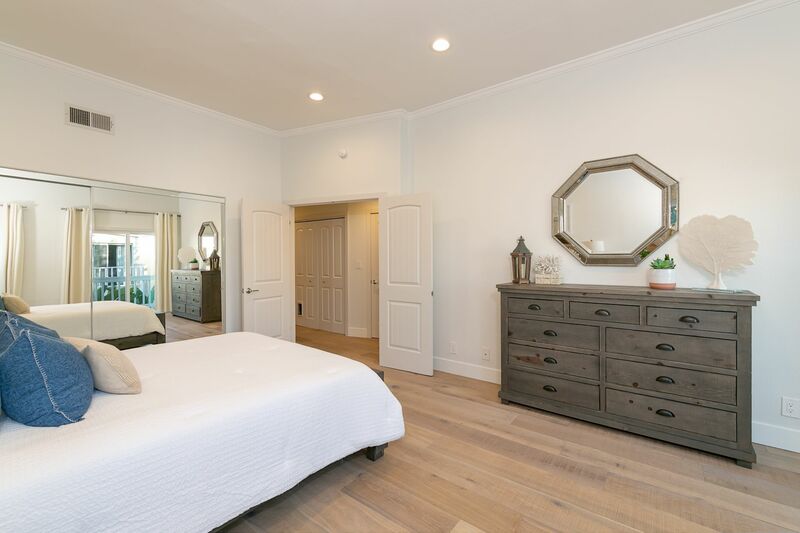 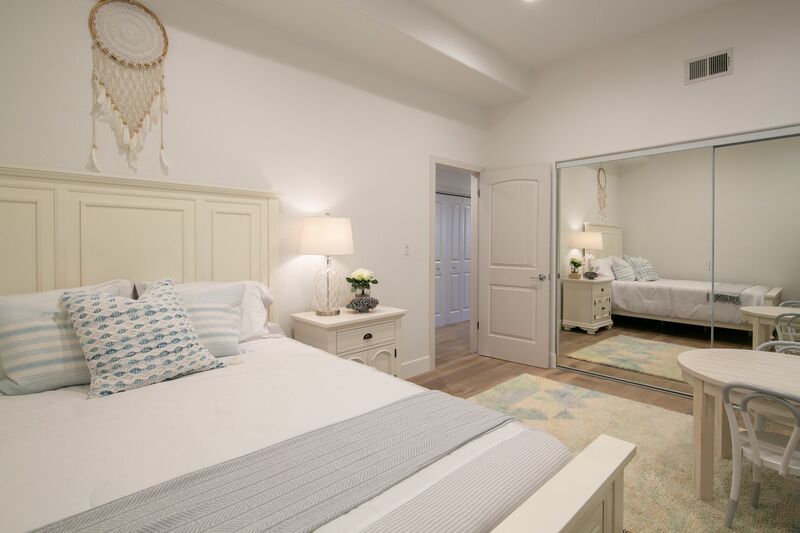 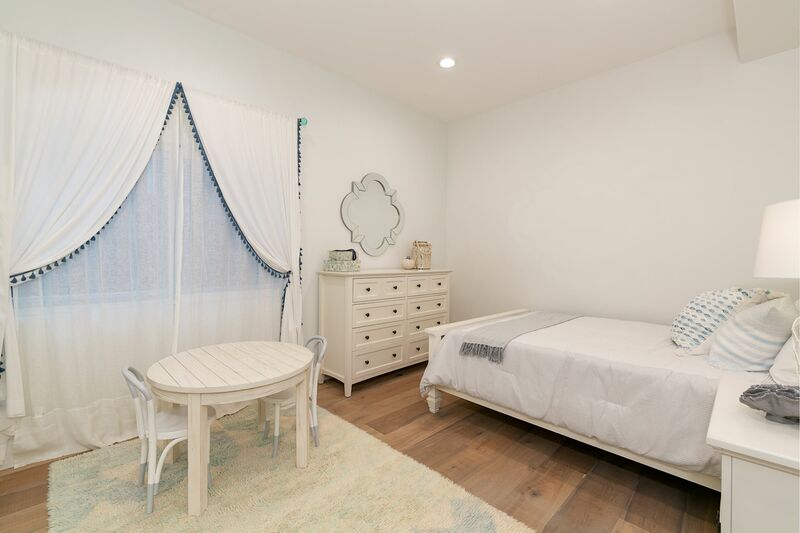 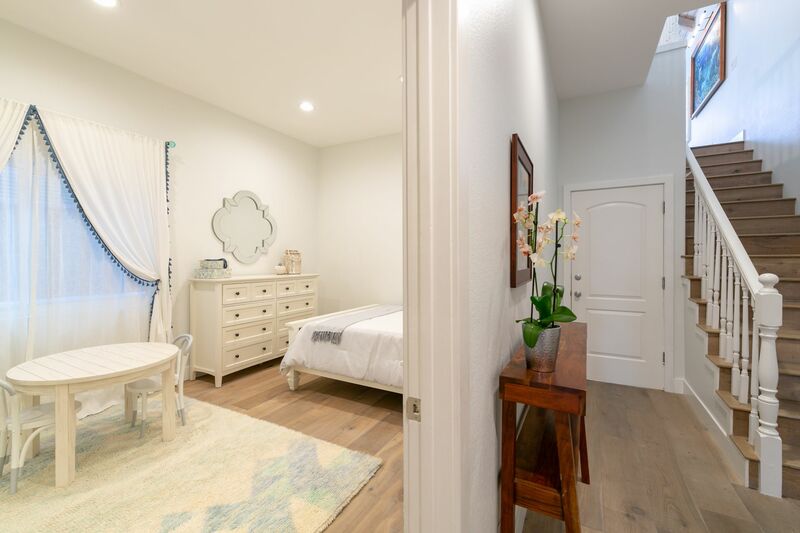 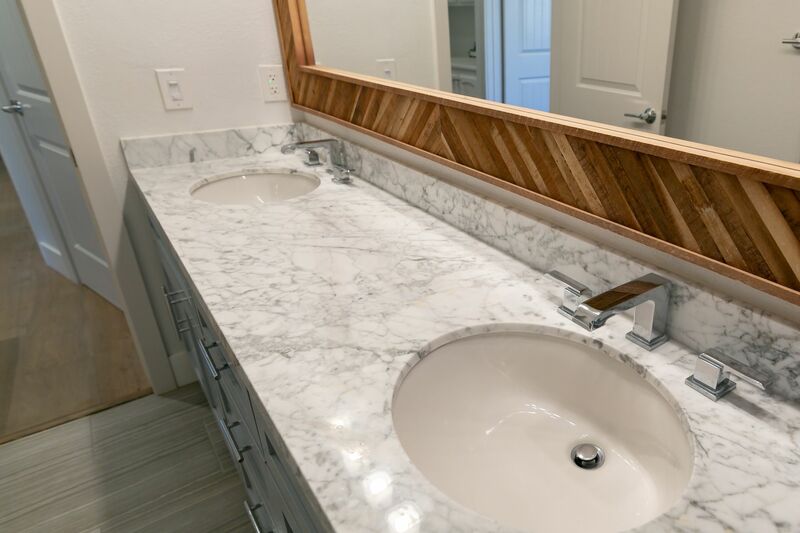 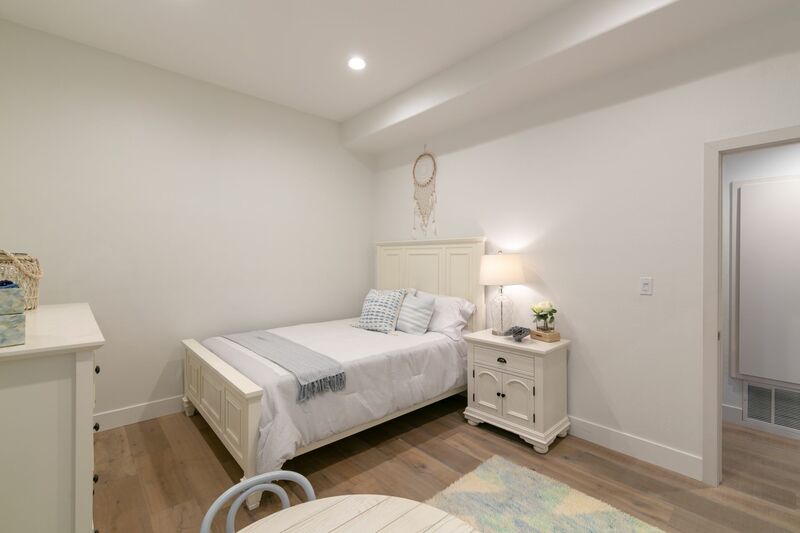 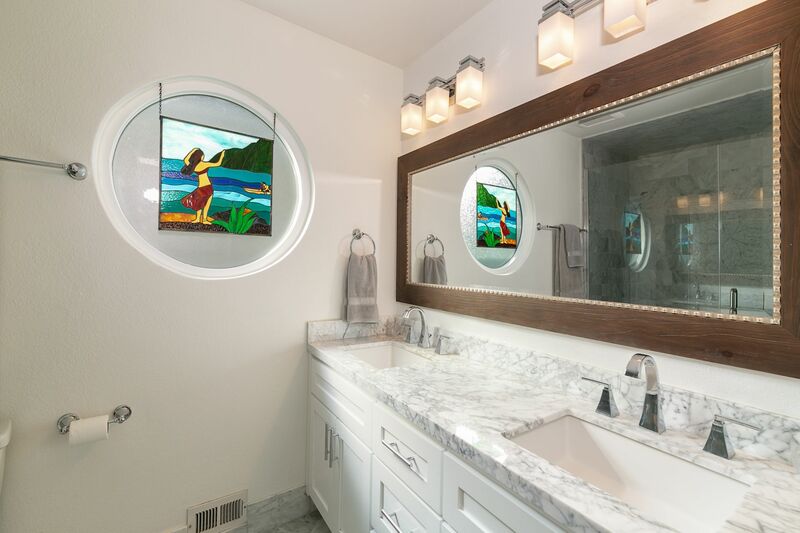 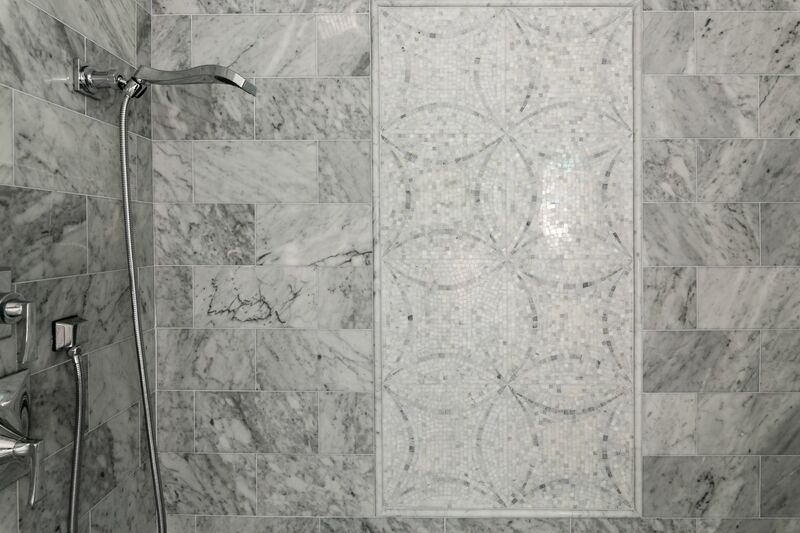 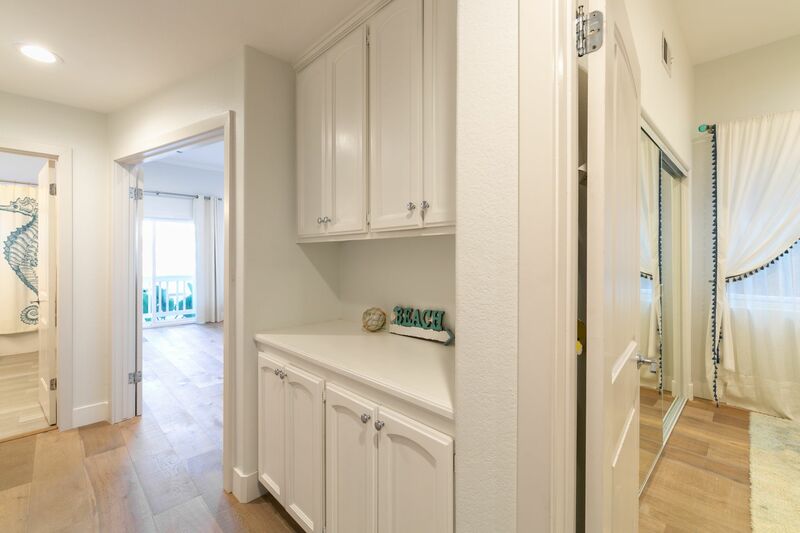 Two additional large bedrooms with tall ceilings are on the first floor including a laundry closet, linen cabinets, and a full bathroom with double sinks & marble countertops. 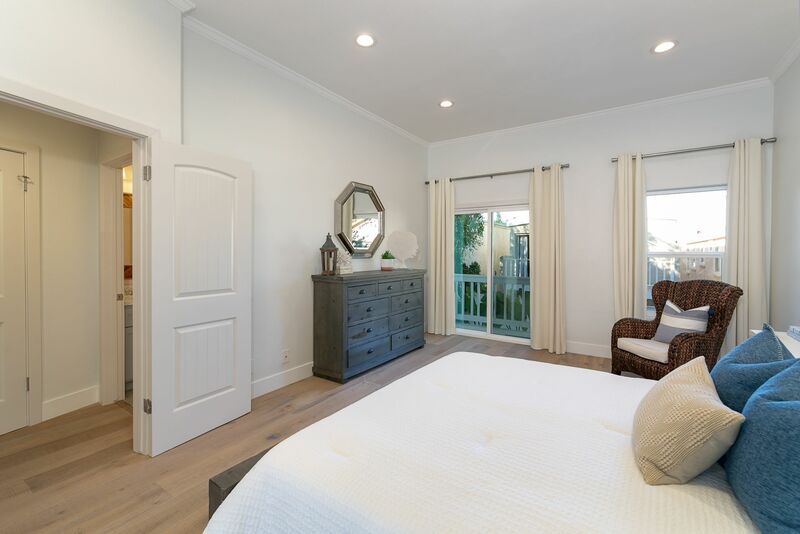 The back bedroom has a sliding glass door that opens up to a balcony and spacious backyard and an extra storage room. 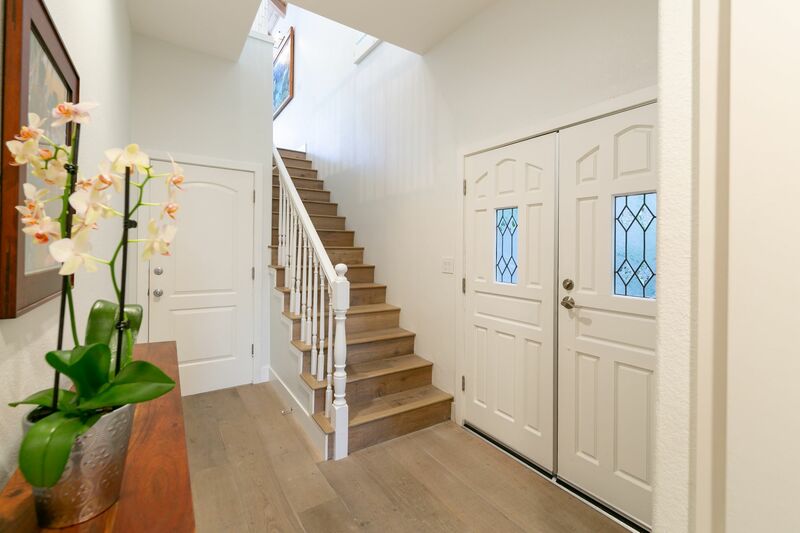 There is also direct access to the 2 car garage with room for 2 additional cars in the driveway. 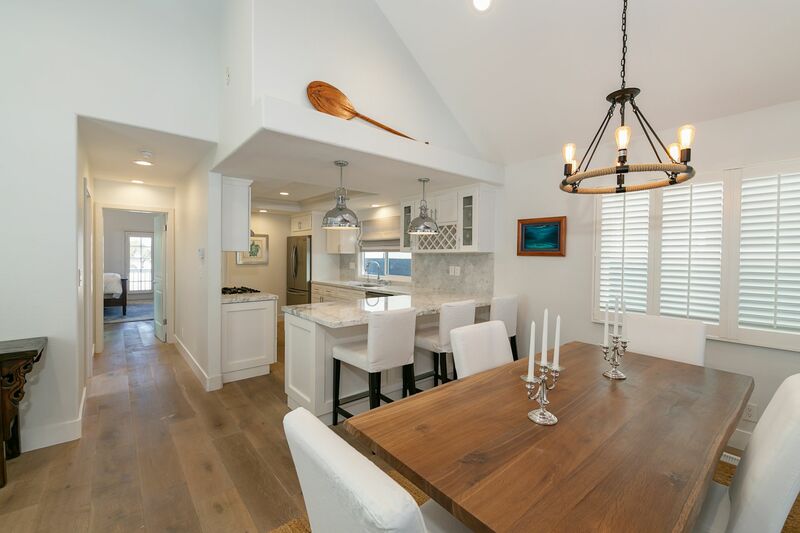 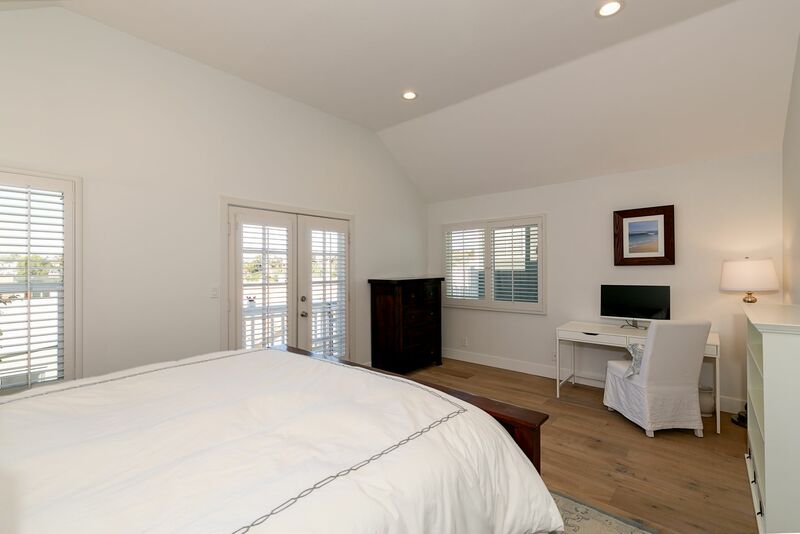 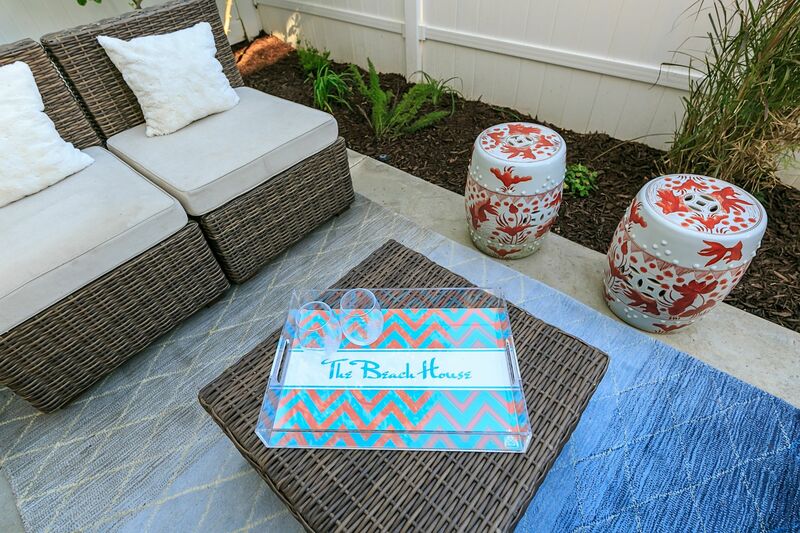 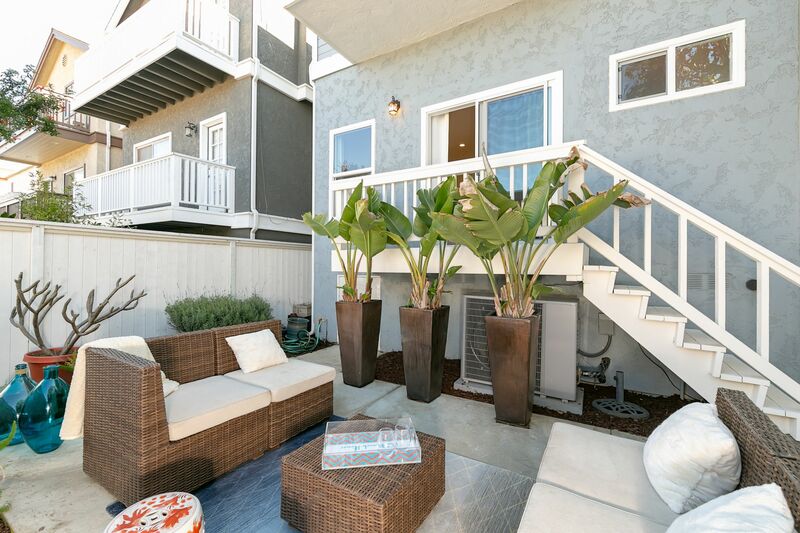 Enjoy the quintessential South Bay living being located just over 1 mile from the beach and close to the schools, shops, restaurants, & recently opened Lazy Acres grocery store.